SOAR is committed to working with other groups in the administrative justice sector in order that people interested in the area have the greatest possible access to information on the subject. In furtherance of that goal, we have provided links to the following groups and websites. Links to additional organizations will be added in the future. Please Contact Us if a group or website you are looking for is not currently listed. The Society of Ontario Adjudicators and Regulators (SOAR) is committed to service equity. Equity and access for disadvantaged persons is an essential part of the service of adjudication within the administrative justice system. This statement of the SOAR Service Equity Policy is based upon the report of SOAR Service Equity Committee, entitled "Towards Service Equity". Service Equity is an essential part of accessibility, which is one of the principles of administrative justice. Service Equity is also an essential part of a "customer service" philosophy which envisions adjudication or administrative justice as a service, with consumers and potential consumers (who may not be aware of the agency or its functions). accountable for fulfilling the fundamental goals of accessibility and equity. B. Report of the Service Equity Committee - "Towards Service Equity"
The Service Equity Committee, chaired by Mary Cornish, was established by SOAR in 1994. The Committee was set up to develop a framework to help agencies or tribunals ensure access to the administrative justice system for people who are disadvantaged. The Committee provided a report to SOAR dated October 31, 1994. This report, "Towards Service Equity", articulates a pressing need for comprehensive service equity strategies in the administrative justice system. The report defines the issues and challenges that must be addressed, particularly through the development and implementation of service equity plans. The Service Equity Committee report is the basis of this Service Equity Policy. Excerpts from the Committee's report are attached as an Appendix. The Committee's report sets out the background and terms of reference. The report notes the current context or environment for administrative justice. The population of Ontario has changed dramatically, and more change is forecast. The report outlines some of the issues or barriers facing disadvantaged Ontarians, including the elderly, youth, children, women, lesbians, gay men, bi-sexuals, people with disabilities, First Nations and aboriginal people, racial minorities, cultural, linguistic and religious minorities, people living in poverty, people with lower literacy skills, and people involved in the criminal justice system. In addition, the report notes the legal obligations of agencies under the Human Rights Code and Canadian Charter of Rights and Freedom, as well as other fundamental legal obligations such as the rules of natural justice. The report views administrative justice as a service which is provided by agencies and boards. In this context, the consumers of the administrative justice system may face barriers or systemic discrimination in the provision of services. Service equity will enable agencies to provide disadvantaged Ontarians with a fairer and more accessible administrative justice system. Administrative justice services must be inclusive of everyone and meet the diverse needs of different groups. on-going efforts to obtain input from consumers and potential consumers about the organization's services. The report outlines the consultation process which the Service Equity Committee undertook. There is a discussion of issues and perceptions under eight sub-headings (see the Appendix). This discussion outlines some of the concerns, expressed by advocates and others from disadvantaged communities, regarding agencies and problems of accessibility, representation and sensitivity. The report provides a framework for developing a service equity plan, with concrete actions and a service equity checklist. Service equity plans may include possible measures and initiatives such as public education, translation, flexible hours of service, plain language, simplified procedures, accessible hearing room facilities, and so forth. Every agency has the responsibility to preserve and enhance confidence in the administration of justice. This can only be done when the administrative justice system is inclusive. Agencies must perform their duties and provide their services free of barriers for disadvantaged consumers. 1. Administrative justice requires that the adjudicative process be accessible. The adjudicative process must be accessible to those for whom it is intended. Physical barriers or impediments should be minimized, with accommodation being made for persons with different abilities and persons who speak languages other than French and English. Offices or information sources should be located in the communities where those for whom the process is intended live. Participation in the process itself should be facilitated, with hearings being held in the communities at times convenient to the users. As a rule, people should not have to travel unreasonable distances in order to participate in the adjudicative process. The process should be culturally sensitive. Information about the process should be readily available. People must also know that the process exists and that they can use it. It should be relatively simple to initiate the process and persons should not be excluded because of lack of ability to pay. Competent, professional assistance should be available to parties who require it. Different techniques should be used to make the process more convenient and available to the users; these can include greater use of teleconferencing or video conferencing, paper hearings or hearings that allow the use of recorded evidence and submissions rather than written documents. The principles of service equity may also be seen to be part of a "good customer service" philosophy. Government and the public sector have been focusing on the concepts of accessibility and customer service for many years. Accessibility is also a priority within the administrative justice system. In addition, agencies must promote the concept that adjudication is a service, with consumers or customers, although this analogy naturally has its limits when considering the fact that an adjudicative decision must be impartial, and usually leads to a winning party and a losing party. Service equity for disadvantaged members of the public is a natural extension of traditional principles of accessibility and customer service. Although these principles will be responsive to individual or specific situations which may be unique to different agencies, this in itself may not be completely effective to address service equity concerns. The aim of service equity is not to address every individual or diverse need. The added focus of service equity is needed to respond fully to systemic discrimination which may be faced by persons who are disadvantaged for reasons which are shared by many other persons dealing with the agency or with government in general. It is recognized that the implications of service equity may be very different from agency to agency. There may be many potential consumers or other members of the public who are not aware of the agency or its services. Agencies have some responsibility to reach out to their "invisible" or potential consumers, but the public interest and the principles of fairness and impartiality may impose some limits on an agency's outreach or public education activities for example, an adjudicative tribunal can not be seen to be favouring one party or interest over another. The government, SOAR and other organizations also have an important role to play in filling this gap in accessibility. Urge all agencies in Ontario's administrative justice system to recognize and supportSOARService Equity Goals and Principles, and to participate in strategies and actions which promote service equity, including formal agency goals and service equity plans. Establish a standing committee of SOAR, the SOAR Service Equity Committee, to coordinate and administerSOARservice equity strategies, and to assess the overall performance of Ontario's administrative justice system on service equity issues. Require the SOAR Service Equity Committee to report annually to the SOAR Board of Governors and the Circle of Chairs, on the activities and progress of service equity from a system-wide perspective. Furthermore, there will be a report at the Annual Conference. Agency chairs will be requested to provide information to the SOAR Service Equity Committee on the activities and progress of each agency on service equity. Ensure that service equity issues are integrated into SOAR education and training programs for adjudicators and regulators. Promote a model Code of Ethics for agency members and staff which will include service equity issues as an integral component. Work with government, advocates, stakeholders and other groups in identifying needs and barriers, and developing solutions, including outreach and public education. SOAR also recognizes the importance of community-based groups representing disadvantaged groups, including health and social service agencies and legal clinics, as links to the administrative justice system. Support and promote adequate resources for service equity. Work with the Ontario government to develop an open and merit-based appointments process which will have standards to ensure that agency members are qualified and representative. These standards should include sensitivity to disadvantaged persons and to service equity issues. Work with the Ontario government to identify legislative or policy initiatives which will assist service equity, including further reform to the Statutory Powers Procedure Act, and innovative use of alternative dispute resolution (ADR) practices. Promote service equity as an essential part of the Ontario government's agenda on agency reform. "Among the many comments and suggestions heard in the course of the committee's consultations and discussions, a number of common themes have emerged. These are set out below in order to provide a basis for further discussion within the administrative justice system:"
Agencies within the administrative justice system are generally not seen as providing a service, but rather as authoritative bodies with power to affect peoples' lives. The existence of the vast majority of agencies within the administrative justice system is not known to many whom these bodies are intended to serve. Neither is it generally understood that these agencies could be of actual service to those who have never come forward. The administrative justice system is generally perceived by members of disadvantaged communities as an extension of government bureaucracy. Agencies within the administrative justice system are generally open to the criticism that their various processes are extremely complex and legalistic. Despite some degree of progress with employment equity initiatives, the administrative justice system in Ontario continues to be perceived as predominantly directed and staffed by a homogeneous population of white, able-bodied men. Within the agency community, there are deficiencies in the awareness of the issues affecting disadvantaged communities and a generalized lack of sensitivity toward members of these groups. The specialization of agencies, boards and commissions and their jurisdictional limitations are perceived as generally arbitrary and unreasonable. There is a widespread perception of a general lack of commitment to equity in service delivery within the administrative justice system. Disadvantaged Ontarians include First Nations and aboriginal people; women; racial minorities; persons with disabilities; lesbians and gay men; youth and seniors; persons living in poverty; persons of diverse religious, ethnic, cultural and linguistic backgrounds, recent immigrants and refugees; and persons disadvantaged because of literacy challenges and socio-economic status; or involvement with the criminal justice system. Some consumers of the administrative justice service have easier access to services and facilities and are better served than others. Some potential consumers are too disenfranchised to even seek access. Better served Ontarians are usually those who have relatively greater confidence, support and resources. SOAR recognized that many disadvantaged Ontarians face serious barriers when trying to gain or in actually gaining access to the administrative justice system. These barriers are often systemic. They may exist not only in the procedures adopted by agencies, but also in their approaches, attitudes, methods of service delivery and in the exercise of the statutory discretion they are given to make decisions. As public bodies, agencies must take a strong leadership role in implementing service equity plans to help eliminate barriers, provide accommodation and implement positive measures to promote equitable delivery of service. ensure that administrative justice services are inclusive of everyone and meet the diverse needs of different consumer groups. provide disadvantaged Ontarians with a fairer and more accessible administrative justice system. meet their legal obligations under the Human Rights Code, the Canadian Charter of Rights and Freedoms and the common law to provide "barrier-free", non-discriminatory administrative justice services. Central to the development of service equity initiatives and plans is effective consultation with disadvantaged groups. Disadvantaged groups should be consulted about the operation and decision-making process of agencies. These consumers bring an essential point of view and key service information on how to eliminate barriers and promote equality. Agencies will benefit from learning a consumer perspective. Agencies are responsible for delivering their administrative justice services in a way which is responsive to consumer needs and accountable to the public they serve. The strategies and measure need to move towards service equity will vary depending on the nature of the agency, the specific characteristics of the service provided and the particular concerns of the agencies' disadvantaged consumers. include endorsement by the head of the organization and senior management. include information sharing and awareness among all managers and staff. include appropriate training and education. provide for a review of service policies and practices by the agency to identify and remove systemic service barriers. Such a review would help the agency to identify the particular equity issues which it needs to address and the steps to be taken to move towards service equity. have specific objectives to eliminate inequities or barriers in services. be supported by an active employment equity program. include an implementation and monitoring mechanism whereby agencies can monitor and report regularly on the results achieved through their service equity initiatives or plans. This will help determine whether services meet the needs of disadvantaged groups fairly and effectively and enable adaption or revision of plans as necessary. 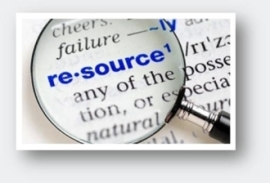 ensure that the organization allocates appropriate resources for service equity initiatives. SOAR forwards this report to the Attorney General, the Chair of Management Board of Cabinet and other appropriate Ministers for review and appropriate action, including providing the necessary resourcing to agencies for implementing service equity plans and initiatives. SOAR invites its members to agree to report back to the Annual Conference in November, 1995 on the service equity plans and initiatives which have been developed in their agencies over the year. SOAR members agree to share their resources, including but not limited to demographic data and information about community groups. Create on ongoing forum to share experience, expertise, materials and resources. The integrity of the Ontario administrative justice system depends in turn upon the integrity of the appointment process and independent and impartial decision-making within adjudicative institutions which enjoy institutional independence. Obviously, adherence to the basic principles of natural justice requires elimination of the perception of external political pressures on the adjudicative process within the institution. Without institutional independence within the administrative justice system, parties cannot have confidence in the integrity and impartiality of the decision making process within a particular tribunal. A competency-based appointment process together with institutional independence assures parties within the Ontario administrative justice system that decisions will be made within a fair process by individuals who are knowledgeable and competent. If Tribunal independence is the "keystone" in the administrative justice arch, the competency-based appointment process is the "cornerstone". What should a "complete" performance management system include to be effective? Why should a tribunal implement a performance management system? What are the benefits of performance evaluation to the individual, to an agency, and to the agency sector? Who should evaluate members' performance and under what authority? At the December 8, 1993 Circle of Chairs meeting, it was proposed and agreed that a committee be established to develop performance standards for administrative tribunal members and to create a performance management system. outline who should do the evaluation. A Word about Terminology: "Performance Management", "Performance Appraisal", "Performance Evaluation", "Performance Review", etc. When talking about "managing" performance, the same terms are often used to mean different things, and different terms are often used to describe the same things. For example, the Ontario Government sometimes uses "performance management" when referring to what is commonly known as "performance appraisal". Here, we use the term "performance management" to refer collectively to several elements or instruments used to manage performance, of which "performance appraisal" is one. What has traditionally been called "performance appraisal" is now often referred to in Ontario Government documents as "performance review" or "performance evaluation". For short, we usually refer to this process of measuring performance against standards and setting expectations and goals for future performance as "performance evaluation", although occasionally we may use the traditional phrase "performance appraisal". In carrying out its research, the committee reviewed reports on the efficiency and effectiveness of administrative justice tribunals in Canada, legislation and literature regarding the management of the performance of judges, and existing performance management systems used by the Ontario Public Service and by some federal and Ontario tribunals. From provincial and federal administrative tribunals, as well as from the OPS, we collected materials used in performance management, including job descriptions, performance standards, and performance evaluation systems. In addition, we have briefly considered other issues that are either necessary prerequisites to successful performance management (such as processes of member selection designed to identify suitable candidates) or are elements included in performance management which are being dealt with by other committees of SOAR (for example continued training and education of members). We collected samples of materials related to some of these issues, for example, sample job selection criteria, sample interview questions, and sample codes of professional conduct or ethics. In addition, the committee undertook a survey of Ontario administrative tribunals to determine their views on the efficacy of performance management systems and to determine how many tribunals currently conduct some form of review of their members' performance. A letter was sent to 60 Ontario administrative tribunals. Eighteen responses were received. The results of this survey are discussed below. In general, the results of our research supported the use of performance management systems to promote high levels of performance by tribunal members and to evaluate members' performance, provided that performance management systems are designed and implemented in a manner that preserves and protects the decision-making independence of the tribunal itself and of its individual members. In general, our recommendations are supported by the literature, and by the experience of tribunals and courts that have implemented performance management systems. Throughout this report, we will indicate, in particular, the studies that have addressed the issues dealt with here, and whether these studies support our recommendations. Where our conclusions differ from those studies, we will explain why we have reached a different conclusion. We also found the systems already in use by some Ontario tribunals, by the OPS, and by tribunals and courts in other jurisdictions useful in developing a model for use by Ontario tribunals. We have made extensive use of these existing systems in developing the model set out herein. The generic job descriptions, performance standards, and performance evaluation system are based largely on these existing systems. The responses to our survey were also helpful, both in confirming that the majority of respondents favour the use of performance management for members, and in specific comments as to how such a system should be designed and implemented. The fact that although a majority of respondents favour the use of performance management, but most respondents do not currently have such a system also suggests that the development of such a model by SOAR will be a useful service to its member agencies. The majority of respondents do not have a full performance management system in place which includes performance evaluation. However, many of the tribunals that do not have a performance evaluation system have some elements of a performance management system, such as job descriptions and performance standards. Some tribunals that do not conduct performance evaluations are currently developing a performance evaluation system. The majority of tribunals that do not have a performance evaluation system feel that it is desirable to have one. In regard to whether a performance evaluation system is advisable, there may be a difference in approach between small agencies and those who have part time members and/or small case loads, on the one hand, and larger agencies with full-time members and larger case loads. Some of the smaller agencies that responded suggested that because the members serve part-time or because the caseload is small and/or the Chair sits on every hearing panel, there is no need for a formal performance evaluation system. Tribunals that supported the establishment of a performance management system cited the need to have some fair and objective way of deciding whether members should be reappointed. Tribunals that did not support a performance evaluation system, as suggested above, felt a formal system was not necessary because of the nature of the members' functions or the tribunal's size, or expressed concerns about interference with members' independence, the difficulty of designing objective performance standards, or the difficulty of obtaining the support of members for an evaluation system. Some tribunals that supported an evaluation system did so subject to similar reservations and concerns. In general, there appears to be a trend towards the development of a performance management system in Ontario tribunals. A performance management process consists of a number of tools to assist in creating, and then maintaining, an effective, fair, and efficient organization that is responsive to the outside world as well as to the needs of the organization itself, including its members and its employees. Performance management is intended to be a positive process fostering optimum performance and development through constructive, ongoing communications between the Chair the CEO and tribunal members and staff. For the purposes of this report, we will address the issue in the context of members only. Organizational goals, strategies, work processes and personal effectiveness and development related to the member's specific position and responsibilities, should be included in the process. Performance management is not just performance appraisal, but is a system of tools designed to ensure a high level of adjudication skills, knowledge, motivation, and sensitivity. There can be no systematic evaluation of performance unless there are standards and objectives against which to judge the level of performance. Tribunal members cannot be required to meet expectations unless those expectations have been communicated to them and understood by them. For the tribunal to effectively communicate those expectations, every member must have at least two key documents: a job description and a set of standards or objectives against which performance is to be evaluated. an annual evaluation or review as to whether the objectives and standards were achieved. These instruments will be discussed in more detail below. Mission statements, codes of ethics, and tribunal rules of practice and procedure and clear administrative policies are also useful in helping members to understand what is expected of them and to meet these expectations. Ontario's adjudicative tribunals are experiencing rising public expectations at the same time as they face shrinking resources. The public has - and rightly so - greater expectations of procedural fairness, speed in holding hearings and rendering decisions, sensitivity and empathy from board members, greater analytical rigour, and more openness and accessibility. At the same time, the process of adjudicating is becoming more complex, as a result of more frequent representation of parties by lawyers, Charter arguments, new legislation which requires interpretation, greater use of sophisticated scientific and other expert opinion as evidence, and the opening up of administrative processes to a wider variety of intervenors and parties, resulting in more multi-party hearings and longer hearings. Moreover, the pace of change has accelerated, and shows no evidence of decreasing. Tribunal members must not only adapt to changes that have taken place over the past few years, but must continue to adapt to ongoing changes in the climate and circumstances under which they carry out their duties, including changes in the mandate of their tribunals caused by legislation or consolidations of tribunals expanding the subject matter of hearings. Among the changes that have occurred in the tribunal system are large-scale changes in the membership of tribunals, as a result of two changes in government in the past 9 years, following 42 years of government by one political party. Large numbers of experienced tribunal members have been replaced by new members, who must learn the skills of adjudication. In addition, the workloads of many tribunals have increased substantially. This means that new tribunal members must be able to learn quickly and experienced members must learn to become more efficient, if backlogs are not to develop or increase. In addition, new members may have different values and expectations than members who have been on the board for some time. There may be a clash of cultures that necessitates a process of articulating the values and expectations of the tribunal and developing a new consensus within the tribunal as to what is to be expected of a board member. In the past, there were few formal methods of managing or assessing the performance of board members. The process of integrating new members into a tribunal and providing feedback on performance to both established members and new members was largely an informal one, in which newer members learned values, attitudes, and skills from more experienced members. Tribunals were often smaller, so that it was much easier for the Chair to know and communicate directly with each of the members, and for all the members to know each others' strengths and weaknesses. Moreover, conduct that may have been acceptable in the past may no longer be considered acceptable. In addition to these changes, it must be acknowledged that there is a problem of public confidence in the tribunal system. Rightly or wrongly, there is a public perception that tribunal members are appointed on the basis of patronage rather than merit and a lack of faith in their accountability and competence. Decisions of certain federal tribunals which later proved contentious have been widely publicized, and have led to attacks on individual members of tribunals, as well as the tribunals themselves. These attacks have also raised the question of how the performance of tribunal members should be evaluated. The absence of some systematic method of evaluating members' performance may increase the possibility that they will be subject to dismissal or other sanctions based on public perception of individual decisions. This is not a desirable situation. There was no formal or consistent approach to evaluation of performance or to making the decision whether members were to be reappointed. The situations ranged from tribunals whose members had an expectation of being appointed for life to those where it was expected that a member was appointed by a political process and continued appointment was a political decision, largely independent of the quality of the member's performance. Neither extreme is considered acceptable today to the public or to tribunal members. For the most part, tribunal members expect to be considered professionals in adjudication and treated as professionals. Obtaining the benefits of treatment as a professional entails accepting the responsibilities of a professional. In private practice, the performance of professionals is monitored by their clientele, and on rare occasions, by disciplinary bodies. In the Ontario government, performance of professionals other than adjudicators as well as most, if not all, other public servants,is monitored through performance management systems. If all other public servants have job descriptions, written standards of conduct to which they are expected to aspire and performance evaluations, the onus would appear to be on tribunals to justify why their members should be exempt from such measures of accountability, rather than on the government or the public to justify why tribunal members should have such accountability. Treatment of adjudicators as professionals implies that they must be trained to be professionals and accountable as professionals. Because the concerns about performance management tend to be focused on evaluation, this is the area we will focus on in describing the benefits of performance management. To some extent, questions may be raised about whether elements of performance management other than performance evaluation are necessary or advisable. Some tribunal members, for example, may question the need for formal written job descriptions or performance standards on the grounds that what adjudicators do and how they should do it is self-apparent. However, in practice the most controversial element of performance management for adjudicators is performance evaluation, because of the perceived threat to independence and the difficulties involved in measuring and evaluating matters that may be relatively intangible. Whether it is appropriate to formally evaluate the performance of adjudicators is not free from controversy, because of the concern for interference with decision-making independence. Professor Ratushny questioned the appropriateness of performance evaluations of members of independent administrative tribunals. (Ratushny, 1990). The subject of his report, however, was not the overall effectiveness and efficiency of tribunals, but their independence, and therefore he looked at all issues dealt with in his report through this prism. The former Law Reform Commission of Canada, on the other hand, felt that it is possible to create a performance evaluation system which will ensure that decision-makers are free from undue influence but which does not go to the extreme of proposing that members must be free from all influence without regard to their responsibilities to the tribunal. The Commission viewed initiatives such as performance evaluations and training with respect to how to conduct hearings and decision-writing as legitimate activities and spheres of influence. Macauley dealt with the matter very briefly. However, he was in favour of performance appraisals. He stated that, "I know that agency performance can be assessed and so can that of agency members". (Macauley, 1989 at p. 8-143) The Onen report also recommended a performance evaluation system for Ontario adjudicators. (Onen, 1992, at p. 20). Quebec has a formal system of appraisal of performance of members of its tribunals, and Ontario has recently passed legislation authorizing the Chief Judge to implement performance appraisal for provincially-appointed judges. Performance appraisal systems for judges are in place in the United States. As of December 1993, ten U.S. states had established judicial performance evaluation programs and eight more were developing programs. Some federal tribunals in Canada, among them, the Public Service Employees Appeals Tribunal, the Immigration and Refugee Appeal Board and the National Energy Board have performance appraisal systems for members. The National Energy Board's performance appraisal is for staff and for Governor in Council appointees. All of the factors discussed above suggest that there is a need to develop a more formal, rigorous, and systematic approach to managing the performance of tribunal members. Performance management is beneficial for three reasons: first, it can help to ensure that tribunal members provide a high quality of service to the public; secondly, it is a method of protecting the integrity of the tribunal and of the administrative justice system as a whole; and thirdly, performance management is designed for the benefit of tribunal members themselves, to assist them in improving their performance and to provide them with the advantages of more objective methods of evaluating their performance and making decisions regarding promotion and reappointment. While it may be argued that performance evaluation can be used to interfere with members' independence, it may be fairer and more effective to have some form of systematic performance appraisal than none. Members can be dismissed or not reappointed because someone dislikes their decisions more easily when there is no formal performance evaluation system. For the member whose performance needs improvement, with no formal method of evaluating performance there is a possibility that the ultimate sanction of termination will be used without first having recourse to less drastic measures, or that substandard conduct will not be brought to the member's attention and addressed in a timely, fair, and effective manner. Ultimately, the decision whether to reappoint a member or to continue the appointment of established members is a decision that will be made by the government. However, the existence of a system of performance evaluation which provides the government with relatively objective data about the performance of members acts as an incentive to the government to utilize merit-based criteria in deciding whether to reappoint or continue the appointment of existing members, and creates a counter-balance to pressures to terminate members' appointments because of public controversies about individual decisions. properly used, performance evaluation identifies a person's working strengths and weaknesses. The person doing the evaluation and the member can together set out priorities for improvements and the means to do so (for example, education programs) and explore the potential to develop other interests or talents the member may have, for example, administration. performance evaluation can help the member prepare for future career challenges by identifying and focusing on strengths and ways to capitalize on them. discussion can take place in what can be an open and nonconfrontational setting. a good evaluation can provide support for a Chair or Minister in recommending reappointments or continued appointment of members. performance evaluation provides an opportunity for the Chair and the organization to deal with areas where improved performance is required or is desirable in a positive, coherent way. Many board members will welcome a system which clarifies their responsibilities and provides them with feedback on how well they are doing, opportunities for recognition and support of good performance, and opportunities to recognize areas where there is room for improvement and assistance in achieving such improvement. Nevertheless, based on the experience of the committee members, comments received in survey responses, and other information, the committee would anticipate several barriers to the successful implementation of a performance evaluation system for Ontario adjudicators which should be addressed in designing and implementing a performance management system. Concerns about how performance standards will be developed and how compliance with these standards will be measured. Concerns about how the results of performance evaluation will be used. Disagreement as to who should evaluate performance. Questions about the authority of tribunal Chairs to set performance standards and conduct performance evaluations. The need to protect members' decision-making independence and the perception that performance evaluation will interfere with this independence. The relative absence of the usual kinds of rewards for good performance in the agency sector. To a great extent, these are overlapping considerations. However, we will attempt to discuss each of them in turn, bearing in mind that all these issues are interrelated. Tribunal members are accustomed to performing their duties without any formal performance standards or formal evaluation system, and, indeed, often without even a job description. Many members have the feeling that, "If it ain't broke, don't fix it". They feel that performance management is unnecessary, bureaucratic, and potentially subject to abuse. Comments were received such as "(Performance evaluation is unnecessary because) the Minister evaluates my performance every time he reappoints me". regardless of the likelihood of some residual resistance by some members who have been on the board for some time, new members may be expected to be more willing to accept the legitimacy of performance management, provided that they are advised before they accept appointments that their performance will be evaluated, and are made aware of the performance standards and the evaluation system that will be used. If prospective members are not prepared to agree to abide by the tribunal's performance standards and to participate in the evaluation process, their unwillingness should be a serious consideration in the decision whether to appoint them. To a great extent, these concerns lie behind resistance to change, discussed above. One of the most significant issues in this regard is that any attempt to measure only a narrow range of measurable behaviours such as arriving at hearings on time and producing decisions within a specified timeframe can easily degenerate into a bureaucratic, highly structured "check off the boxes" approach being used to evaluate very sophisticated and subtle aspects of an adjudicator's duties. On the other hand, an attempt to assess these less measurable or quantifiable aspects of performance can easily be perceived as an effort to erode the member's decision-making independence. ensuring that the Chair or whoever is responsible for performance evaluation is provided the specialized training necessary to carry out this task and is a person trusted by the members and perceived to be a person of honesty and integrity. 3. Concerns about how the results of performance evaluations will be used. Members will be concerned about whether the results of performance management will be used to reward, to punish or discipline, to assist in improving performance, etc. At the outset, it should be acknowledged that the results of performance evaluations can be used in different ways. Performance evaluation can be used only as a tool to assist members in improving their performance, and not utilized in decisions whether to reappoint, give raises, or promotions. This may achieve greater acceptance of performance evaluation by members and to reduce or eliminate any possibility that performance evaluation will be used to influence the contents or direction of decisions or to reward or punish on the basis of someone's views of whether their decisions are "right" or "wrong". Or performance evaluation can also be used to make decisions about reappointment, remuneration and evaluation. If it is used for this purpose, there may be more resistance from board members and fears that it will be used to influence decision-making. However, if performance evaluation is used for the purpose of recommending reappointment, it can also help to insulate members from termination on the basis of their decisions, as ongoing positive evaluations can be a strong counterbalance to public pressure and partisan political motives. avoiding evaluation of the "rightness" or "wrongness" of individual decisions. Our research has identified two main issues in regard to who should evaluate performance. The first is the question of preventing interference with decision-making independence. The concern is that if a person who has the power to influence reappointment is responsible for performance evaluation, that person may use performance evaluation to influence the kinds of decisions that are made, by penalizing members for decisions considered "wrong" and rewarding them for "correct" decisions. This issue will be discussed below. The second issue arises from the fact that the person who would normally carry out performance evaluation in areas other than adjudication, namely, a manager or other superior, is often not in a good position to know how a tribunal member is performing. The reason for this is that most of the work of a board member consists of conducting hearings. A Board Chair, deputy minister, or minister will rarely be in attendance during hearings. Board members may question whether anyone other than the parties and witnesses, or fellow panel members, is in a position to evaluate how hearings are conducted. These concerns apply to a major portion of a member's work - the conduct of hearings. They may not apply equally to other aspects, such as participation in board administration or decision-writing. The quality of decisions is very visible, and is subject to evaluation. However, evaluation of decision quality raises concerns about interference with decision-making independence. As noted earlier, our survey suggests that it is largely in those tribunals with small caseloads where Chairs sit regularly with the members that Chairs have not felt that performance evaluation is necessary, because the Chair has first-hand knowledge of how members conduct themselves at hearings, how they interact with fellow members, and their analytical skills. To some extent, it is the Chair who cannot participate regularly in hearings, and the member who does not have the benefit of regular participation with the Chair, who have the most need of some mechanism to evaluate members' performance. where the evaluator is the Board Chair, or Vice-chair in larger Boards, by the Chair or Vice-chair participating as much as possible on hearing panels, in some cases chairing the panel and in other cases as a side-member with another member chairing the hearing. This allows the Chair to observe how members perform in two different capacities - as panel chair and as side-member. Part of the resistance of board members to performance standards and evaluation results from the ambiguous position of many Chairs. The role and authority of a board chair is often unclear, and not all members agree that the role of the chair includes the authority to carry out these functions. Board members have argued, for example, that they are responsible only to the person or authority that appointed them and decides whether they are reappointed, and not to the Board Chair. This problem can be addressed by the government taking steps to clarify the authority of the Chair. Our views as to who should have the authority to introduce and implement a performance management system and how this authority should be clarified are addressed below under the heading "Who should evaluate members' performance and under what authority" and "The authority of the Chair to manage members' performance". Members will be concerned about whether they will be "punished" for "incorrect" decisions or pressured to make decisions in future that concur with the views of the Chair or the government or are favourable to particular parties. There will be concern that performance evaluation will be used to recommend dismissal or a decision not to reappoint members who dissent or who do not interpret laws or apply policies in the same way as most of their peers. by evaluating decisions only on the basis of criteria that do not touch upon the merits of the case, such as grammatical correctness, correct syntax, internal consistency, etc. However, it would be unrealistic to expect that an evaluator will completely ignore matters such as identification in the decision of relevant issues, relating the facts found to the evidence set out in the decision, relating the facts to the law, etc. Here, there is an overlap between issues of quality of analysis and expression and judgments about the "correctness" of the decision itself. Balancing the need for some form of evaluation against the need to avoid judgments as to correctness or perception of such judgments is a difficult problem that cannot be completely eliminated. by involving in the evaluation individuals who are independent of the appointment process, as recommended by Onen. An argument may be made that performance evaluation will not work in the agency sector to the extent that the usual rewards for good performance such as raises and promotions are not available. To some extent, the usual rewards for good performance are missing from some parts of the tribunal system. Some classes of members, for example, cannot get raises regardless of performance. The maximum remuneration for some categories of boards and members has been established by government policy and cannot be increased on an individual basis. Moreover, it is the government's policy that appointment to a tribunal entails a degree of public service, and remuneration is not intended to be commensurate with fees or salaries available in the private sector. Where the maximum remuneration has been established in this manner, a member cannot increase this amount based on skill, diligence, or experience. In addition, there are relatively few avenues for promotion within tribunals, from one tribunal to another, or from tribunals to courts or to other branches of government. Where such rewards are available, the difficulty is how to reward or withhold rewards based on performance without appearing to interfere with decision-making independence. As Ratushny wrote, "Some tribunal heads consider it essential that they be able to influence the salary of tribunal members through performance appraisals. Otherwise, it is felt, the head will have no 'leverage' in insisting that tribunal members achieve certain levels of diligence and productivity. The danger is, of course, that such 'leverage' also could be applied to influence the member's decision-making." performance evaluations can be used to recognize in writing outstanding performance, to support reappointment, to encourage career development, and to encourage the government to consider excellence in appointing members to other tribunals when their maximum number of appointments to one tribunal has been reached. A properly implemented performance evaluation system would require a considerable investment of time and money. Where will a Chair or other person responsible for carrying out performance evaluations find the time to evaluate every member each year? In a time of fiscal restraint, where will the money come from? In a tribunal with only a few members, it should not prove impossible for the Chair or other manager to find the time to perform evaluations. In a larger board, the function may need to be divided among a number of senior members or vice-chairs, all of whom should have proper training to carry out this function. As in all other aspects of their functions, tribunal administrators will have to find room for new functions by achieving greater efficiencies in how they carry out their current functions. Performance evaluation itself need not entail significant additional direct costs. However, training of those conducting performance evaluations will cost money, as will implementation of the training and education of members which is an important part of overall performance management and central to the effective use of performance evaluation systems. Certain things are a prerequisite to or an integral part of effective performance management. These include a job description, performance standards, and an evaluation process. We will discuss each of these below and provide generic instruments in appendices. There are other management tools that are useful for any organization to have in place, and which are already used everywhere else in the Ontario government except the agency sector. Although these tools may not strictly be part of a traditional performance management system, problems can be avoided by using them. Most important is the use of a selection process designed to ensure that the right people are hired (or in our case, appointed) for the job and that once they are appointed they are made aware of the responsibilities of their job and given adequate training. In particular, a selection process utilizing selection criteria designed to identify suitable candidates is essential. Choosing qualified and motivated members is the cornerstone of any performance management system. It will be difficult, if not impossible, to ensure that members meet the expectations and standards of the tribunal unless those members have been selected through the use of a process designed to identify those who have the ability and the desire to meet these requirements, and which communicates these expectations to those prospective members and obtains their agreement to attempt to meet them. Any system of performance evaluation which is not preceded by such a process will be difficult to implement successfully. Examples of generic selection criteria and interview questions are also found in the appendices. A report on the quality and efficiency of adjudication in Ontario tribunals carried out on behalf of Management Board of Cabinet in 1992 concluded that, "Any recruitment effort to fill a position must be based on a good position description. This is a fundamental aspect of responsible administration and there is no reason to believe it ought not to apply here". (Onen, 1992) We agree. A job description is useful both to the person being interviewed for a position as a board member and for those who are responsible for selecting the member. It is even more important, however, in evaluating performance once the member is selected. It is difficult to set and enforce performance standards unless there is agreement as to what the job is that is to be performed. A job description may seem unnecessary, since the job of an adjudicator is obviously to adjudicate. However, different kinds of members may be required to fulfill different roles. The most obvious example of this is that a Vice-Chair may be expected not only to adjudicate but also to play a substantial role in board administration, including training and supervision of members and liaison with other government authorities, and carrying out the functions of the Chair in the latter's absence. If so, this should be part of the job description. Is the member expected to sit alone or to sit as a member of a panel, or both? If as a member of a panel, is the member expected to chair the panel, or just to sit as a "side person"? Does the caseload consist of lengthy, complex hearings or large numbers of very brief ones? Is there a need for legal, scientific or other specialized knowledge that must be applied in reaching decisions, or are the issues ones that any ordinary person with common sense can decide? Is it expected that the member will generally produce a brief oral decision immediately after a hearing, or are reserved written decisions the norm? What analytical and writing skills are required? Is the member expected only to perform the traditional adjudication role, or is he or she also expected to conduct mediation, other forms of alternative dispute resolution and administrative duties? Generic job descriptions for different classes of members are found as Appendix A. As we have indicated earlier, a selection process designed, in Macauley's words, to find "the right person for the right agency at the right time" (Macauley, 1989 at p. 8-18) is critical to the successful implementation of any performance management system. As Macauley put it, "No end of job descriptions will inform a candidate about what ought to be known before accepting the appointment. The candidate must be interviewed in some depth by the Chairperson of the agency. Only through these interviews can the candidate learn first hand enough about the potential position in order to make an informed decision". (Macauley, at 8-18). And, we might add, only through such interviews and other measures designed to find the right candidate and to communicate mutual expectations, can the tribunal make an informed decision and ensure that the tribunal's expectations of the candidate are understood and accepted by the candidate. The design of a selection process that will facilitate good performance and successful performance evaluation is beyond the scope of this report. However, as a starting point, some generic selection criteria and sample interview questions are found in appendix B.
the identification of professional development which might be required to meet objectives. With this in mind, the committee developed a generic standardized form which could be used by all tribunals. In developing the proposed standard form the committee included information which should be included in all performance management systems. Although it is not imperative that the specific form the committee developed be utilized by all tribunals, it is important to include certain key elements in whatever form a tribunal uses. These key elements include the description of the objectives, the standards which will be used to measure the performance, as well as the information as to whether objectives were or were not met. The Committee also developed a set of generic objectives and standards. Although generic, both the objectives and standards would in fact be applicable to adjudicators in most tribunals. Each tribunal should be able to take the standards and objectives the committee developed in order and adapt them to meet the needs of their own particular tribunal. When developing objectives, one should ensure that the objectives clearly define what will be done. Objectives for each person must be reflective of the key responsibilities as outlined in the job descripton of the position. The objectives clearly define what will be done. Objectives for each person must be reflective of the key responsibilities as outlined in the job description of the position. Most performance systems in use in the public service and in other tribunals in Ontario and Canada include only the key responsibilities. Performance Criteria or Standards state the conditions that exist when the work has been carried out in an acceptable manner. The criteria/standards define how well the work should be done. Performance criteria/standards should be specific and measurable, based on the job and not the person, and should be achievable, fair and realistic. The standards should not include anything which will lead to an assessment of an actual hearing decision. A core set of performance criteria/standards should be developed which is applicable to all members. For individual members, the setting of objectives and goals or expectations should occur at the beginning of the one-year evaluation period. All appraisals are done annually and should take place near the anniversary date of each adjudicator's appointment. For adjudicators who have been with the Board for some time, any period to establish objectives and goals or expectations is acceptable. Within one month of an adjudicator beginning his or her position, the incumbent and the Chair would formally meet to set or review and agree on the objectives and criteria which the incumbent will be expected to meet. This is very much a joint exercise and both parties should participate and agree on the objectives and criteria/standards. In addition, any training or educational requirements would also be agreed to by both parties and noted in the appraisal form. In the first year of an appointment, meetings between the Chair and new appointees should be held on at least a six-month interval, although quarterly meetings would be the ideal. The purpose of this meeting is to orally review and discuss the new appointee's progress and outline the areas where performance is satisfactory and where improvement, if any, is required. These meetings provide the new appointee with an opportunity to work on areas which might require improvement and/or discuss additional assistance which the tribunal can provide to assist the new appointee. At the end of the first year, and each subsequent year thereafter, the Chair or Vice-chair in larger tribunals, after having solicited any necessary input in relation to performance, would complete the achievements/results section of the form. It is often the practice in many organizations, certainly within other areas of the public service, to have the person whose performance is being evaluated prepare a draft of the "Results Achieved" information based on his or her perception of the results achieved or do a self-evaluation. Often, the particular methodology employed is a matter of the preference of the individual completing the performance appraisal. The Results Achieved are a concise statement setting out whether each objective was or was not achieved. Where objectives have not been met, the evaluator should state what is required to meet the objective. Any factors which may have adversely affected performance should also be noted, as should comments indicating performance that has exceeded expectations. The Overall Assessment of Performance is usually a brief narrative commentary outlining the overall performance of the incumbent. Both the individual whose work is being evaluated and the evaluator should mutually agree on specific actions which should be taken to enhance knowledge or skills as necessary. The incumbent should feel free to express any comments in relation to the evaluation and both the individual whose work is being evaluated and the evaluator should sign the form, with each party retaining a copy of the document. a) Who should do the evaluation? Earlier, we addressed the question of whether it is, in fact, feasible or advisable to formally evaluate the performance of tribunal members. Two of the main arguments against performance evaluation that were identified are the perception that performance evaluation may impair decision-making independence and the difficulty of knowing how a member performs during hearings. Both of these concerns are issues to consider in deciding who should carry out a member's performance evaluation. Earlier, we suggested safeguards to deal with both these concerns. Performance evaluation might be carried out by the government, which appoints the members, by the tribunal Chair, by other tribunal members, by an independent agency, or by some combination of them. In deciding who should carry out performance evaluations, two principles must be considered: accountability and independence. A performance management system must attempt to achieve a balance between these sometimes competing considerations. The government has an interest in ensuring the accountability and overall quality of the tribunal members and their conduct. The tribunal and its members also have this interest, as well as an interest in protecting the independence and impartiality of the tribunal. Similarly, the Chair of a tribunal has an interest in ensuring the accountability of the tribunal and the quality of its members' performance, but this interest must be balanced against the right of the individual members to make decisions in individual cases free from any interference with their decision-making independence. There are ways in which the government can contribute to ensuring the overall quality of the tribunal's work as well as the quality of the work of individual members. These include the government's right to make the final decision on appointments and reappointments and providing adequate training and education to members. However, the danger of evaluation by the government is both that it will be difficult if not impossible for the person performing the evaluation to have as much knowledge and understanding of the tribunal's needs and the member's day-to-day performance as the tribunal Chair or members, and the appearance of interference with the independence of the tribunal itself, particularly where one or more departments or agencies of the government may appear as parties before the tribunal whose members are being evaluated. Safeguards are also needed if a Chair is involved in the evaluation of members' performance. However, the danger of a misinformed or uninformed evaluation or interference with the members' decision-making independence must be balanced against the need for the Chair to have effective management tools available to him or her if he or she is to be responsible to the government for the quality of the tribunal's work. Performance evaluation could also be carried out by an independent, outside agency. In some U.S. States, the State Judicial Council either carries out or participates in the evaluation of judges' performance. We do not have enough knowledge of the composition of these U.S. Judicial Councils or how they carry out this role to comment on the utility of this approach. However, it should be noted that SOAR, through the Circle of Chairs, recommended to the Ontario government the establishment of an Administrative Justice Council. Should such a Council be established, consideration should be given to what role it might play in evaluation of individual Board members. It might, for example, provide a review of the evaluation of a member's performance by a Board Chair, under certain circumstances, for example, where the member and the Chair disagree and the performance evaluation is being used to justify termination of appointment. Or it might make recommendations to the government on reappointment, taking into account performance evaluations carried out by the Chair. However, an outside agency, has no first-hand knowledge of the performance of a member, nor an inside understanding of a tribunal's performance culture. The credibility of the evaluation in the eyes of the person being evaluated depends on that person's confidence that the evaluator understands the tribunal's culture. For an outside agency to carry out an effective first-level performance evaluation, it would require an elaborate, costly, and time-consuming process of collecting information from persons who do have this knowledge, screening this information for possible biases, and safeguarding the anonymity of respondents. The Chair has a joint responsibility to the government and to parties and witnesses who appear before the tribunal to ensure the quality of the members' work as well as a responsibility to the tribunal to maintain its independence and to the members to uphold their decision-making independence. Therefore, we have concluded that at the present time in most tribunals the Chair is the most appropriate person to conduct performance evaluations. The Onen suggestion of an independent evaluation is an option that might be considered under some circumstances for some tribunals. The Chair is, in effect, the Chief Executive Officer of the tribunal. He or she is generally responsible to the government for the efficient and fair operation of the tribunal, and thus, must have authority commensurate with this responsibility. Therefore, to be effective, he or she must have supervision over and direction of the work of the members, as well as a role in designing the criteria for selection of members and ensuring that the members selected meet these criteria through the use of job descriptions, performance standards, and performance evaluation. In reaching this conclusion, we have taken into account the conclusion in the Onen report that evaluation should be done by an external agency, consisting of persons who are independent of the appointment process, unless the Chair and adjudicators agree on a system of internal evaluation (Onen, 1992 at p. 20). We do not rule out the possibility of others also participating in the evaluation process along with the tribunal Chair. There may be merit in involving persons who are independent of the appointment process in members' evaluations. There may also be room for obtaining information from, or including in the evaluation itself, other members of the same tribunal. Information may also be obtained from the tribunal's client group, although it is questionable whether parties to hearings should take part in the actual evaluation, since they have an interest which may not be compatible with maintaining the independence of the member. Having the Chair take ultimate responsibility for the quality of the evaluation does not rule out the possibility of the Chair delegating some or all of the evaluation to others, or incorporating some form of peer review. For example, the person being evaluated may select fellow Board members or others to conduct or play a role in the evaluation process, as long as the person selected is satisfactory to the Chair. The ability of the person evaluated to play a role in this choice can increase his or her comfort with the process and acceptance of the result. As indicated above, whenever the Chair has the de facto responsibility for ensuring the efficient and fair operation of the tribunal, the Chair's right to manage the performance of its members is inherent in his or her responsibilities, based on the principle that powers must be commensurate with responsibilities. However, in Ontario, there has been no systematic or explicit recognition of the authority of Chairs to carry out the functions that are prerequisites to, or integral parts of, performance management. And in practice, the government has not always given Chairs the authority needed to manage performance effectively. In particular, Chairs have not always had an opportunity to participate in the design of selection criteria for members or to assist in selecting members, the setting of performance standards, the training and education of members, and the evaluation of performance. It is much more difficult, if not impossible, to ensure that members comply with performance standards if (1) members have not been selected in a way that maximizes the likelihood that they will have the knowledge, skills, attitudes, and values required to meet those standards, or (2) standards have not been communicated to them in advance and they have not agreed that they are appropriate standards, or (3) members are not given the necessary training and education to supplement the skills and knowledge they initially bring to their tribunal. If they are set out anywhere, the powers of Chairs are either set out in the statute that establishes the tribunal, in a memorandum of understanding between the government and the Chair or one of his or her predecessors. Unfortunately, often the authority of the Chair to manage the performance of members is not set out anywhere. Moreover, many Chairs have been appointed to their position without much prior discussion of their role. Some have found out only after they accepted the position that the Ministry to which they report or the members of the tribunal did not consider them to have some or all of the authority needed to manage members' performance. Many statutes establishing tribunals do not explicitly assign to the Chair the authority to manage the performance of either the Board's members or its staff. Similarly, there appears to be no consistency in memoranda of understanding (MOUs) in this regard. In fact, although it is government policy that there be a MOU between the Minister, the Deputy Minister and the Chair of every board, Macauley found that many boards either had no MOU or one that was out-of-date. Chairs of tribunals must have explicit authority commensurate with their responsibilities to manage the performance of board members. Whenever the government is introducing new legislation to create tribunals or amending legislation in relation to existing tribunals, it should consider spelling out in the legislation the authority of the Chair and Vice-Chairs to manage the work of the tribunal, including supervision of the members and staff of the tribunal and evaluation of their performance. It is our understanding that the Government intends to introduce once each year an omnibus efficiency bill similar to the one given third reading in December of 1994, to deal with "housekeeping" matters. If a further omnibus government efficiency bill is introduced, consideration should be given to putting into it a clause giving all tribunal Chairs the authority referred to above. It should be a standard government practice to discuss with prospective Chairs before their appointment mutual expectations as to the responsibilities and authority the Chair will have in relation to each of the aspects of performance management discussed in this report, and to make prospective Chairs aware of the contents of the MOU signed by the previous Chair. The government and the prospective Chair should attempt to reach at least an informal meeting of the minds about these issues before the appointment is made. If Chairs are to perform this new function, there will be a need to provide them with training. We recommend that theSOAREducation Advisory Committee arrange for the development of a training course for Chairs on how to set performance standards, develop performance objectives and carry out performance evaluations, coaching and counselling. In addition to the elements of performance management that have been discussed, there are other tools that can be very importantin ensuring effective performance. Although it is beyond our mandate to address these issues, we wish to make reference to some of these tools. No matter how careful the selection process, most candidates will not have a full complement of all the knowledge, skills, attitudes and values required to be a good adjudicator at the time they are selected. Some of the necessary attributes will have to be learned or improved. Therefore, a tribunal cannot expect all members to consistently meet performance standards or expectations unless it is prepared to provide the necessary training and continuing education required to do so. Such training should occur at the beginning of a members' tenure and continue throughout. New members may be given initial training in matters such as the rules of evidence and procedure, statutory interpretation, natural justice or procedural fairness, relevant statute law, ethical considerations, cultural and linguistic sensitivity, administrative requirements of the tribunal, analyzing issues, writing decisions, and working together with other members. (A longer and more detailed list of "core" subjects is found in the Macauley report (Macauley, p. 8-32). Ongoing education should be provided to alert members to changes in law and policy that may affect their decisions, and to improve their skills and address areas of weakness. In this report, we will make no attempt to suggest methods of providing such educational opportunities, since work on this issue is being undertaken bySOAREducation Advisory Committee, and an Education Coordinator has been appointed to establish training programs for the agency sector, including adjudicators. There is a fine line between issues of professional competence and issues of ethical conduct. While performance standards address competence, many problems that arise may deal with issues that can be characterized as questions of propriety or ethics, rather than competence. These issues may include matters ranging from avoidance of conflicts of interest and bias or appearance of bias to appropriate attire. Management of performance may also involve making members aware of appropriate behaviour in these areas. Therefore, codes of professional conduct may also make a significant contribution to performance management. We have not addressed this in detail as another committee of SOAR is drafting such a code of conduct. Some problems with members' performance may come to the Chair's attention through complaints from parties or other members of the public. While it is beyond this committee's mandate to design a process for handling complaints or disciplining members for ethical breaches, it is worth noting that how such complaints are dealt with is important in the context of effective management of members' performance both because receiving and dealing with complaints provides an opportunity for the Chair and the member who is the subject of the complaint to become aware of the member's strengths and weaknesses and to take steps to assist the member in improving his or her performance and because an inappropriate complaint resolution process can threaten the independence of the tribunal and of its members. It is therefore important to have a process which will be useful in managing the performance of members in a positive way. These are matters that might also be considered by SOAR, since at present there is no overall government policy on how such complaints should be handled or who should deal with them. A complaint resolution process and disciplinary mechanism which safeguards the tribunal's independence as well as that of its individual members will also tend to be a process which is useful in managing the performance of members in a positive way. Therefore, consideration should also be given to designing such a process. During the course of this review, the committee members sought the advice of the SOAR Circle of Chairs as to whether the management of the performance of Board Chairs was intended to be within its terms of reference. Because the management of Chairs' performance raises additional issues, it was not dealt with in this review. However, the committee recommends that SOAR consider reviewing this issue. The process of adjudication has become increasingly complex and the level of professional competence expected from tribunal members continues to rise. Tribunal members themselves wish to be considered professionals and treated as such by the government, the public, and the media. To achieve this, they must be prepared to accept that adjudication will have standards and accountability mechanisms like any other profession. To accomplish this requires the use of a variety of tools for managing performance while preserving the necessary degree of independence of the tribunal and its members. Tribunal Chairs should be given the authority needed to ensure the efficient and effective functioning of the tribunal and should exercise that authority to implement the systems needed to maintain and improve the quality of adjudication in Ontario. That all Boards establish selection criteria for use in identifying suitable candidates and in selecting from among those who apply for membership. The generic selection criteria developed by this committee may be refined as necessary to meet the needs of individual boards. That the performance management model described in this report, including job descriptions for tribunal members and vice-chairs, performance standards, initial training and ongoing education programs, and a performance planning and evaluation process be adopted for use in all boards with any changes or refinements necessary to meet the needs of individual boards. That in most cases, the Chair, or in larger boards a Vice-chair delegated by the Chair, is the most appropriate person to carry out performance evaluations. (a) That Chairs of tribunals must have explicit authority commensurate with their responsibilities to manage the performance of board members. (b) That whenever the government is introducing new legislation to create tribunals or amending legislation in relation to existing tribunals, it should consider spelling out in the legislation the authority of the Chair and Vice-Chairs to manage the work of the tribunal, including supervision of the members and staff of the tribunal and evaluation of their performance. (c) That when future omnibus government efficiency bills are introduced, consideraion should be given to putting in a clause giving all tribunal Chairs the authority referred to above. (d) That it should be a standard government practice to discuss with prospective Chairs before their appointment mutual expectations as to the responsibilities and authority the Chair will have in relation to each of the aspects of performance management discussed in this report, and to make prospective Chairs aware of the contents of the MOU signed by the previous Chair. The government and the prospective Chair should attempt to reach at least an informal meeting of the minds about these issues before the appointment is made. That the Education Advisory Committee arrange for the development of a training course for Chairs on how to develop performance standards and objectives and carry out performance evaluations and coaching and counselling. That SOAR consider undertaking a review of whether a system of performance management should also be implemented for Board Chairs and if so, how and by whom the Board Chairs should be evaluated. That SOAR consider designing a complaint resolution process and discipline mechanism which safeguard's the tribunal's independence as well as that of its individual members while providing a useful tool to manage the performance of members in a positive way. 4. American Bar Association Guidelines for the Evaluation of Judicial Performance, Special Committee on Evaluation of Judicial Performance, August 1985; Report of the Supreme Court Committee on Judicial Performance, Assessment of the Judicial Evaluation Project and Proposal for the Permanent Judicial Performance Program, Dec. 1985; National Centre for State Courts, Institute of Court Management, Selected Characteristics of Judicial Performance Evaluation Programs (1993), National Centre for State Courts, memorandum by Rae Lovko Re Judicial Performance Evaluation, Dec. 16, 1993. 5. National Centre for State Courts, Institute for Court Management, Memorandum by Rae Lovko, Re Judicial Performance Evaluation, December 16, 1993. 6. We note in passing that there are two Management Board Secretariat directives which, read together, may support the proposition that the government expects performance evaluation of tribunal members to be carried out, and that the tribunal Chair is an appropriate person to carry out this function. However, the documents are ambiguous both as to whether the function should be carried out and, if so, who should carry them out. See Establishment and Scheduling of Agencies, November, 1992, Directive 6-2 and Administration of Agencies, November 1992, Directive 6-3. The [name of tribunal] conducts public hearings into . . . [to be modified by the tribunal]. The hearings can be held anywhere in the province, and may range in length from less than one day to several hundred days. Hearing panels are assigned by the Chair of the tribunal. Where the hearing panel consists of more than one member, a tribunal member may be assigned to chair the panel or to sit as a side member. There are generally three main stages to a hearing: the pre-hearing stage; the hearing itself; and the decision. The pre-hearing stage may include a variety of processes intended to facilitate an efficient hearing process, including pre-hearing conferences, motions, status hearings, and funding hearings. [Depending on the tribunal] the member may be assigned to participate in the tribunal's pre-hearing dispute resolution procedures. In addition to specific hearing-related duties, the tribunal member is expected to: observe the tribunal's code of conduct; preserve confidentiality; and participate in non-hearing tribunal-related matters (e.g., peer review of draft decisions, training of new tribunal members). As delegated by the Chair, carries out a variety of administrative duties, and in addition is expected to assist in the development and monitoring of new policies and procedures as well as the training, assignment of duties, and review of performance of members. Participates in activities as directed by the Chair involving the tribunal's relationship with government, other tribunals, interest groups whose representatives appear before the tribunal, and the general public. Participates in periodic meetings of the Board members, and participates in committees of the tribunal as assigned by the Chair. Conducts peer review of draft decisions before they are issued. In this role, reviews whether decisions are clearly written, address relevant issues, make reference to relevant law, are consistent with other Board decisions, and are grammatically correct. In no way, however, does the member alter or attempt to alter the substance of a decision under review. Case Management - The member may be expected to take responsibility for case management of files . [If applicable] Work may include extensive (periodic, occasional) travel throughout the province of Ontario. a willingness to participate in non-hearing related matters affecting the tribunal, e.g. tribunal committee work; speaking engagements; the drafting of tribunal policies / rules / procedures; the training of new tribunal members. willingness and ability to travel throughout the Province, often with voluminous written materials. (1) what criteria are essential and what are merely desirable would be decided by those recommending / making the appointment. (2) No distinction has been made between full-time members and part-time members of a tribunal. It may be that the only distinction would related to the availability of part-time members, e.g.. that the applicant must be available for hearings and tribunal related work at least x days per month, with the dates to be determined by the Chair in consultation with the member. (3) The criteria here do not encompass any additional responsibilities of a Vice-Chair, simply because the role of a Vice-Chair differs according to the particular tribunal. 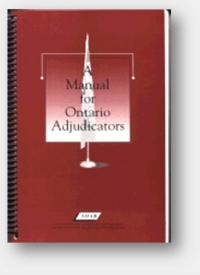 SOAR has published several Manuals specifically for Ontario Adjudicators & Regulators. These Manuals are available for sale and can ordered online from this site orderly. In the meantime you are welcome order through the downloadable Book Order Form. adjudicators -- that is when holding hearings and deciding cases.It makes suggestions about how to carry out these responsibilities fairly, effectively and efficiently. 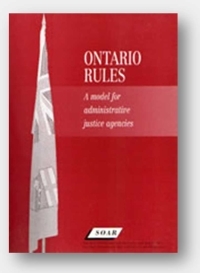 The Manual for Ontario Adjudicators was prepared for SOAR by John Swaigen, working from a table of contents drafted by a SOAR committee consisting of Linda Gehrke, of the Workplace Safety and Insurance Appeals Tribunal, Marg Wilson, of the Ontario Ministry of the Attorney General, and Mr. Swaigen. The 1994 amendments to the Statutory Powers Procedure Act (SPPA) encouraged SOAR to study the new features that were introduced into the Act. Section 25.1 permitted a tribunal to adopt "rules governing the practice and procedure before it." As well, a number of new powers could only be used by tribunals if they adopted rules under section 25.1 dealing with that power. SOAR asked its Rules of Practice Committee to suggest "model rules of practice" for its member organizations. Legal staff, members and tribunal staff from a number of tribunals, and a lawyer in private practice, participated in the committee. The resulting SOAR Model Rules were issued in January of 1996 in two versions: "comprehensive" and "abridged". In early 1998, the Ministry of Attorney General invited SOAR to participate in a joint committee to develop rules to implement the recommendations of the Agency Reform Commission. SOAR participated in preparing the text and presenting it to the 1998 Annual Conference (a "Compendium"). In 2000, SOAR decided that its Rules of Practice Committee should bring together the benefits of its 1996 Model Rules, the efforts behind the Compendium, and the changes and new features of the SPPA amendments. The co-chairs of the SOAR Rules Committee, David B. Braund and Carole A. Prest, undertook the writing of this book, along with detailed comments from Robert D.M. Owen and John Swaigen, and general guidance from Gary Yee. 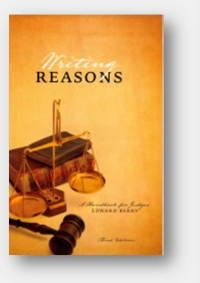 Third Edition 2007, Edward Berry - Writing reasons was concieved as a follow-up to workshops on judgement writing. Although this publication focuses on the writing of judges, lawyers and members of the administrative justice community may also find it relevant. The handbook provides both a review of the basic ideas of judgement writing and a series of exercises designed to translate these ideas into experience. Zurmo 2.0.5 Available on LyonsHost. Zurmo is an Open Source Customer Relationship Management (CRM) application that is mobile, social, and gamified. It uses a test-driven methodology for building every part of the application. This means you can create and maintain a custom-built CRM system with the assurance that future updates are not going to break your installation. There are a lot of CRM applications out there. Why another CRM application? Through many years in the CRM industry, The Zurmo development team still sees companies struggling to implement a CRM application. The goal with Zurmo is to provide an easy-to-use, easy-to-customize CRM application that can be adapted to any business use case. Zurmo takes special care to think through many different use cases and has designed a system that they believe provides a high degree of flexibility, covering a wide variety of use cases out of the box. It won't beat out existing players in a feature war, but considering companies wind up only using a handful of features, that doesn't really matter. Zurmo has the beginning of a high-quality sales force automation tool. Stay tuned as they continue to make improvements. Read more about Zurmo 2.0.5 Available on LyonsHost.